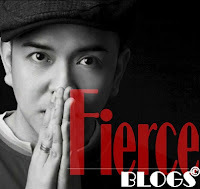 Sunday, September 15, Fierce Blogs had the chance to do a private interview with heartthrob, Teejay Marquez. It was in fact a very light interview about Social Media, fashion and even fitness. Before preparing my interview questions, I searched the net to know what information it has to offer for Teejay. Well, sadly, the Internet provided a lot of trashy and gossip articles. As you are aware, Fierce Blogs is not about gossips or anything malicious. Instead, I prepared questions that is really light; and at the same time, would understand the fashion sense and day-to-day activity of Teejay Marquez. According to Teejay, he is an online addict and sees to it he maintains his relationship with his girlfriend - his mobile phone. "I'm online almost everytime. I use almost everything. But I'm currently hooked on Instagram. I love posting InstaVideo so my followers can know me more." I couldn't agree more. If you look at his Instagram and Twitter account, Teejay is very active which his followers really appreciate, for sure. They get to interact with Teejay and that itself makes the sought-after artist of GMA7 very accessible. Admittedly, Teejay is into Hipster-type of get-up. That means his fashion sense is not very mainstream and would tend to lean towards an individual look specific to the hot celebrity. Hipster dressing can also be dictated by the type of music the individual is inclined to listen to. On that note, hipster means standing out in the crowd simply by wearing who you really are. "I love slim jeans or anything that fits me well. When it comes to shirts, I prefer to wear plain shirts from Giodano, Penshoppe, Molecules and Uniqlo. Then when it comes to shoes and watch it's very specific to Mariodboro, Cardams, Forever 21 and Unisilver." In that specific order, that is. Well, cellphone comes first after all. I can totally relate to this! No matter how busy Teejay maybe from shooting and guesting, he makes it a point to regularly visit Golds Gym for a good sweat and exercise. After all, he has a goal of one day making it to the roster of models who bravely parades for Cosmo Philippines. Well, for sure it's only a matter of time before he gets to be invited to join the prestigious, annual event. For the final part of the interview, Teejay would like to relay this message to his legions of followers. "Thank you and I love you friends! For your love and supports, you are one of the reasons I'm still here so lets fly!" Teejay Marquez was indeed born to live in front of the bright lights of the camera. His charisma is far to none and can be infectious at times. With the elements of great looks, talents and the perfect timing, it's only a matter of time for us to witness and see the magnitude of stardom Teejay will achieve. 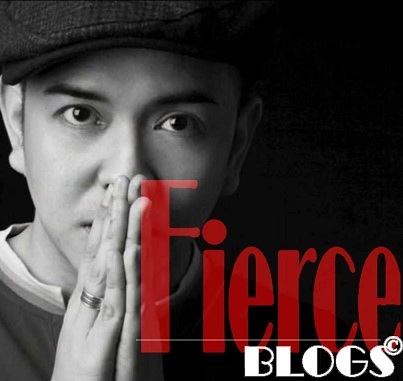 To Teejay, thank you very much for accommodating the interview with Fierce Blogs. All the best and see you on Internet where interaction can be achieved by a single click.